This time of year it is only appropriate to post a panoramic image celebrating the feast of St.Mary. 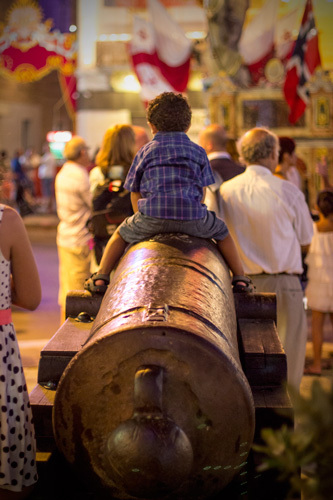 A number of towns in Malta and Gozo celebrate this feast (7 I believe) but this photo hails from the town of Mosta. The parish church of Mosta (known as the Rotunda of St Marija Assunta) can be seen in the foreground centre and is the third largest unsupported dome in the World. 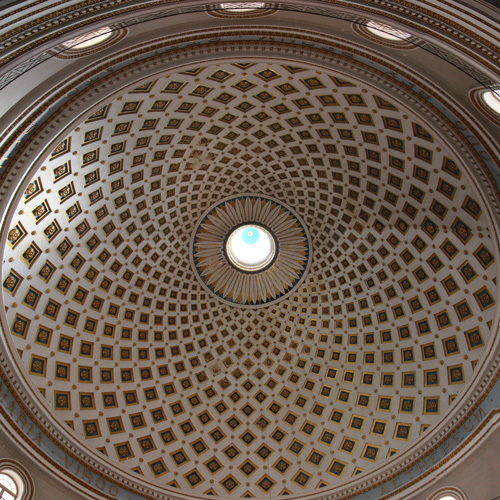 The Rotunda, designed by George Grognet de Vasse, a French citizen resident in Mosta, took 27 years to complete.